But this Ice Age is also envisioned by director Albert Hughes as a time of great natural beauty; lovingly captured in some breathtaking vistas of Europe 20,000 years ago. Vivid colours blended with stark, barren lands create a sense of wonder that’s magnified in IMAX 3D. Even though the plot is hardly innovative, there’s enough spectacular cinematography and technical wizardry on display for discerning viewers to be significantly engaged by ‘Alpha’. But this gritty and heart-warming fictional backstory to one of the most unique relationships we share with our furry friends makes it essential viewing for every dog-lover. It is how the films unfolds, slowly and gradually, first appearing alarmingly like a Hollywood extravaganza, then a simple fairy tale, before completely upturning the idea of what that the term ‘alpha’ has come to mean — especially now, in a world increasingly led by ultra-masculine men invoking ultra-muscular authority.Besides, while nudging us to rethink what we think when we hear ‘Alpha’, there is another story at the heart of the film. It is about the beginning of a beautiful friendship, one of the few things to have endured 20,000 years later: between man and dog. There was a boy and his dog: it’s a line that has perpetuated myth and memory, story and soliloquy, fact and fiction. Alpha then examines the origin of that line. Ultimately it’s about a huntsman and a wolf, and the boy and dog they would lead to. Watch it for them. Watch it for you. Watch it. 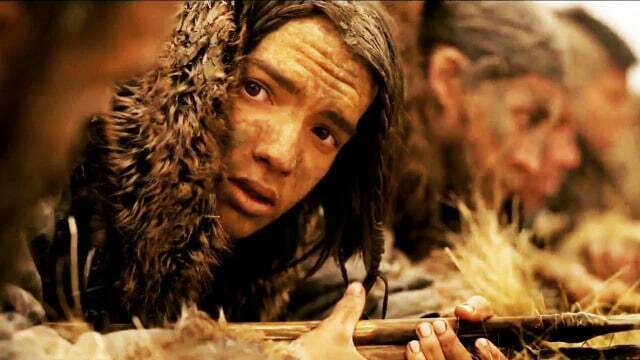 Young Keda tries to survive alone in the wilderness after he’s left for dead during his first hunt with his Cro-Magnon tribe. He soon forms an unlikely alliance with a lone wolf that was abandoned by its pack. Facing overwhelming odds and nonstop danger, Keda and the wolf must now trek through a harsh and unforgiving landscape to make it home before winter.